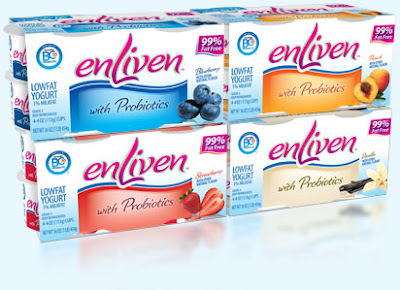 mommy's reviews: WIN enLiven Yogurt! Did you know that August is National Peach Month? I didn't, but man oh man...do I love peaches!! Well, if you love peaches and you also love yogurt, this will definitely interest you! Right now, enLiven Yogurt is giving away a free 4-pack of yogurt to one winner each day! I was THRILLED to have been chosen as a winner the other day and am really going to enjoy my free probiotic yogurt!! So, check out their giveaway today...it will definitely interest any yogurt fans out there...plus, your odds are high as they pick daily winners! !